The smartest weekend cooks keep the rest of the week in mind. Here, four fantastic pork dishes and the best ways to use their leftovers. 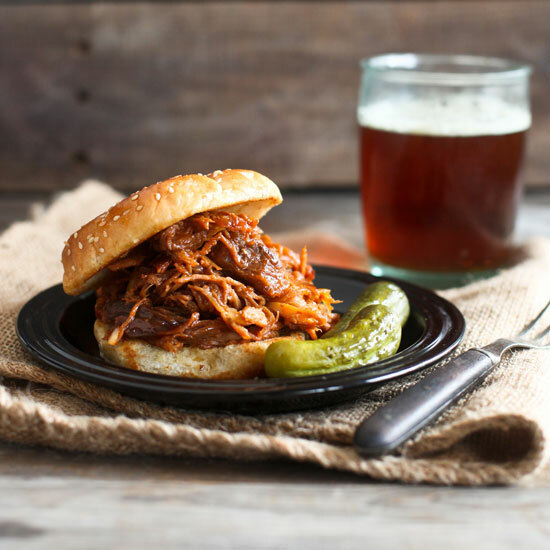 This easy recipe for pulled pork is fantastic on hamburger buns with coleslaw and thinly sliced pickles. How to use the leftovers: Make Tim Love’s excellent pulled pork and goat cheese quesadillas, these healthy tacos or more sandwiches. This behemoth of a cut makes a spectacular roast that won’t break anyone’s budget. How to use the leftovers: Make these insanely good Cuban roast pork sandwiches or these garlicky pork-and-fennel sandwiches. How to use the leftovers: Cut into thin strips, the leftover pork loin is fantastic in a quick and easy stir-fry like this one made with chewy Chinese noodles. This simple roast takes just 50 minutes to make. How to use the leftover: Use the leftover meat in tacos like these or these sandwiches with a creamy, tangy blue cheese dressing.